Oy with the pumpkin already (anyone get that reference?). It’s starting to be a problem. Not the pumpkin per se, but the pumpkin spice addiction. I wish I could say I could stop anytime I want, but that would be a bold faced lie. And make no mistake: it is the spice, not the pumpkin. Perhaps I will get kicked off the internet for this admission but the truth is that I don’t love pumpkin. 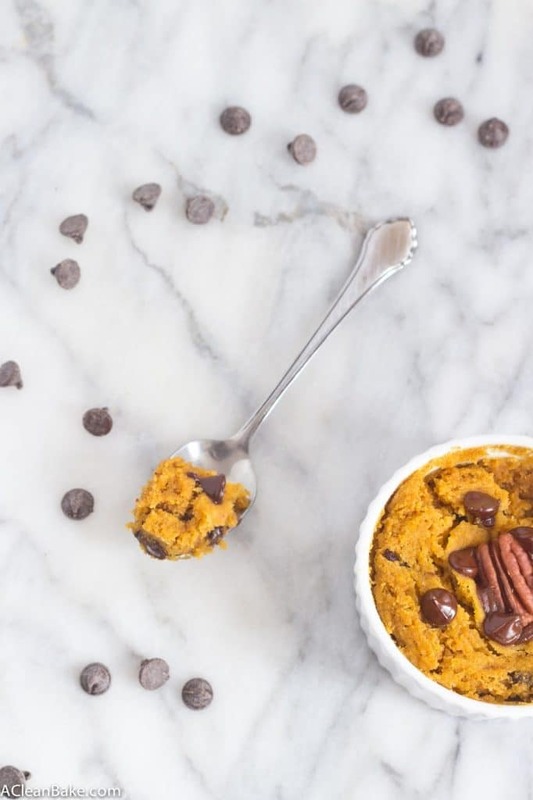 I appreciate its versatility and the health benefits it provides, but when was the last time you ate a scoop of pumpkin puree without any doctoring, etc? It’s not terribly satisfying; kind of…vegetal. I much prefer spaghetti, butternut or even acorn squash on their own. But since pumpkin comes with its very own totally irresistible spice blend, it gets all the good publicity. And I have about a million cans of it in my pantry (what? you mean you don’t stock up like you’re rapidly approaching the pumpkin apocalypse every October?) so I am obligated, if by nothing else than the physical capacity of my pantry and the need to have other, non-pumpkin-food on hand, to put it in, if not everything, then at least come up with as many excuses as I can to use it. I can see no better way to use pumpkin-slash-anything than to use it to create a fresh, warm, gooey cake that is all for you. Is anyone out there starting to wonder what the deal is with my recent obsession with single-serve treats? (If you follow me on Instagram, you have probably seen a lot of them.) 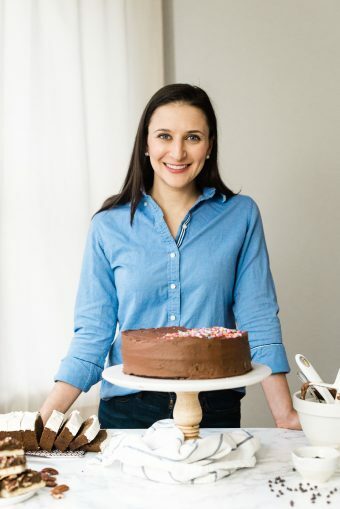 Besides the fact that they are just more exciting to eat, I live in a home where one of us bakes enough sweets to fortify a small army, and the other has almost no sweet tooth. I’ll let you guess which is which. They say opposites attract, and I guess Bryan and I are evidence of that. This is my last week as a “single” woman (Single as in unmarried, of course) and, yes, I am marrying the guy who likes lemon more than chocolate, and cakey brownies more than fudgey ones. I’m pretty excited. More chocolate for me. But it’s dangerous to have an entire cake in a house like ours, so single serve is the way to go. In addition to single-serve, other important criteria for these adorable little desserts are always simplicity, efficiency, and taste. In other words: make it quick, easy and tasty – and, of course, pack it full of pumpkin (spice) and chocolate. Do you have 5 minutes? Then you can have dessert! 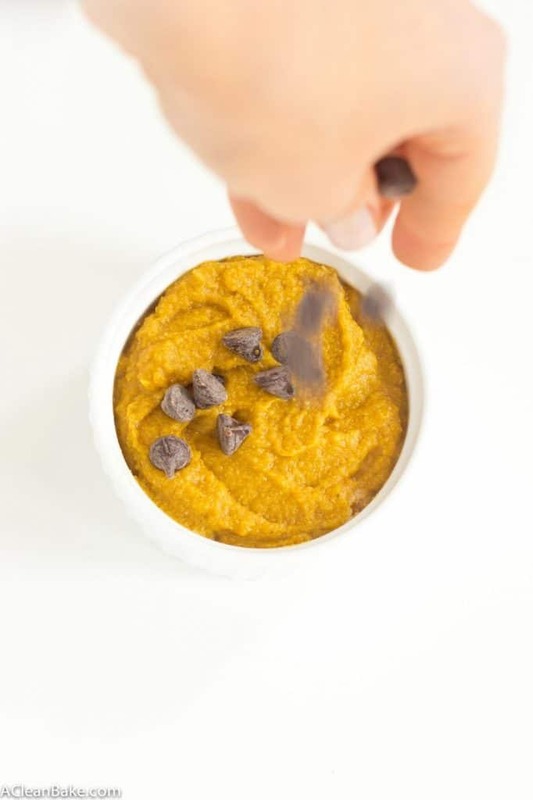 In a small mixing bowl, whisk together the pumpkin puree, baking soda, pumpkin pie mix and salt. Add the coconut oil, almond milk and honey and mix to combine. Whisk in the coconut flour vigorously until no clumps remain. Fold in chocolate chips and pecans. Pour batter into a small greased ramekin. Microwave on high for 3 minutes. Carefully remove from the microwave (it is hot!) then let sit for 1-2 minutes before digging in. 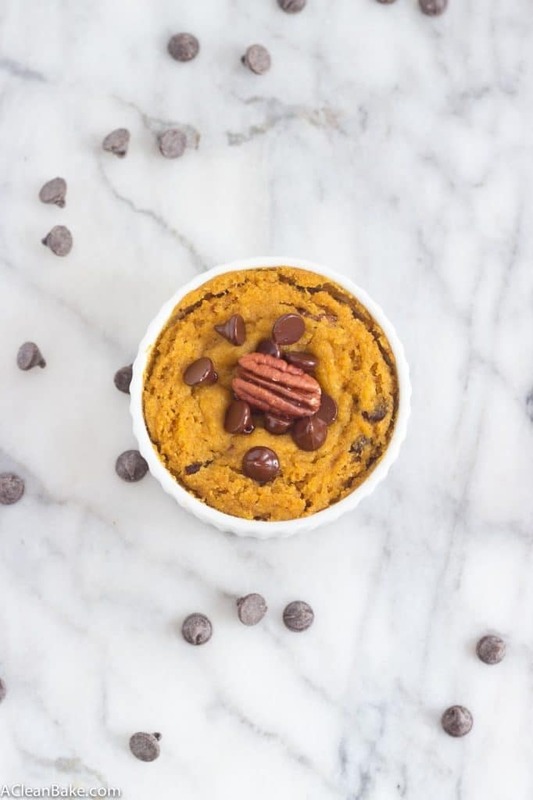 If you want to make this into a mug cake, you'll probably want to double the recipe so that it fills the entire mug. You'll also want to increase the baking time. 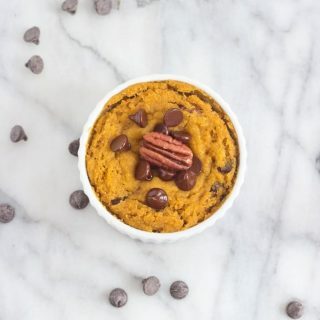 This single serve pumpkin pecan chocolate chip cake looks delicious. I don’t have a microwave, but would be interested in making a whole cake in the oven. Can you recommend measurements and an oven temp? I would probably use an 8×8 square dish. Follow the instructions for mixing the batter, pour it into a lightly greased 8″x8″ baking dish and bake in a preheated 350F oven until a tester comes out clean (I’m not really sure how much time you’ll need, so watch it carefully). Again, I just want to stress that I have not tested this and it’s an educated guess! So proceed at your own risk 🙂 I’d love to hear how it turns out! Thank you so much. I look forward to making it.